Highly Wear Resistant Bronze Impeller. Proven Pump for Domestic Water Supply. Overhead Storage Water Tank Filling. Rigid Cast Iron Motor Frame and Pump Casing. Pressure Boosting for Residential Water Supply. All Applications Requiring Self Priming Action upto 8 metres. Texmo 0.5 HP Single Phase Self Priming Monoblock Pump, DMS2 is a premium quality Centrifugal Pumps from TEXMO. 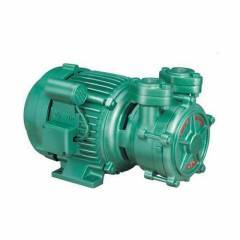 Moglix is a well-known ecommerce platform for qualitative range of Centrifugal Pumps. All Texmo 0.5 HP Single Phase Self Priming Monoblock Pump, DMS2 are manufactured by using quality assured material and advanced techniques, which make them up to the standard in this highly challenging field. The materials utilized to manufacture Texmo 0.5 HP Single Phase Self Priming Monoblock Pump, DMS2, are sourced from the most reliable and official Centrifugal Pumps vendors, chosen after performing detailed market surveys. Thus, TEXMO products are widely acknowledged in the market for their high quality. We are dedicatedly involved in providing an excellent quality array of TEXMO Centrifugal Pumps.